Peter Beales Roses are delighted to announce that Her Majesty the Queen visited their gold winning stand during yesterday’s Royal Horticultural Society’s Chelsea Flower Show. Walking through the magnificent rose adorned display; she chatted with Ian Limmer Nursery Manager; taking particular interest in the company’s 2018 introductions ‘Ely Cathedral’ and ‘Fragrant Celebration’. Her Majesty also stopped to admire ‘Sandringham’, a beautiful deep pink, heavily perfumed rose, which had been previously launched in 2016 for the Royal Estate in Norfolk. Ian Limmer said, “In this our fiftieth year, it was a great honour to have Her Majesty the Queen visit our exhibit. 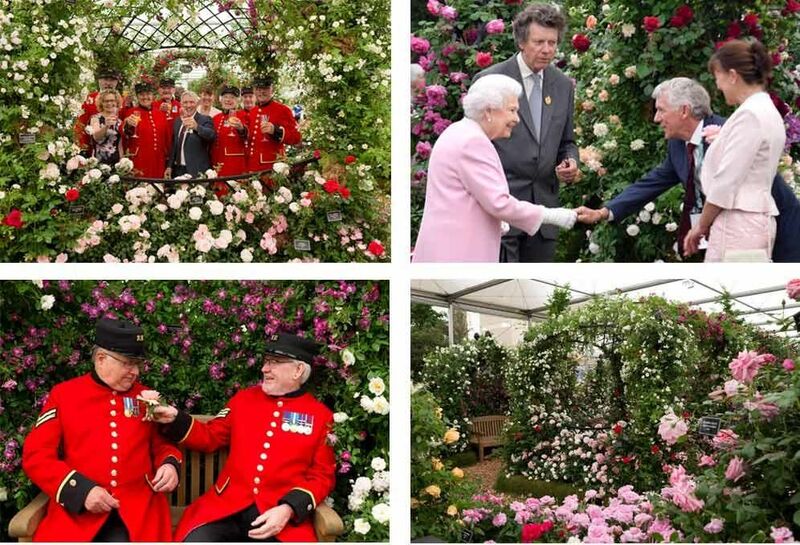 It was lovely to talk to her about the display and our roses; Her Majesty paid particular interest to the new introductions. After such a magnificent day yesterday, it was the icing on the cake this morning, to find out that the team had been awarded with their 25th Chelsea Gold Medal, as it’s a testament to all their hard work and dedication”. 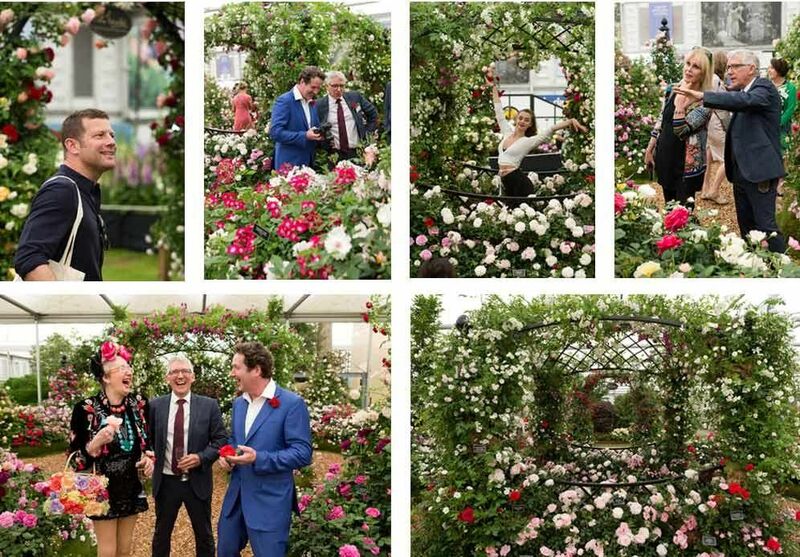 During the official press day, TV garden designer and presenter Diarmuid Gavin announced the launch of ‘Ely Cathedral’ whilst actress and comedienne, Su Pollard received the first blooms of ‘Fragrant Celebration’ to mark the company’s 50th year. The main entrance to the 2018 exhibit is via a beautiful reclaimed stone archway decorated with climbing and rambling roses, which provides a beautiful vista through a central rose pavilion, onto a Victorian rose covered arbour and bench. The perfect place to stop, take a breath and enjoy the 1200+ roses used to create the stunning exhibit. A huge thank you to Classic Garden Elements, Redwood Stone and Barcham Trees for all of their help to make this year's stand a success.